The financial system today is a lot different from the past. Interest rates have been decreasing for 10 years and are now finally starting to increase. There is a whole generation of millennials that only know the age of low interest rates and easy access to credit to finance the things they want in life. Student loans, car loans, furniture and appliance cards, cell phone plans and home purchasing, the average Canadian now spends 1.6 dollars for every dollar they earn, meaning someone with a salary of $45,000 dollars per year on average will purchase $72,000 worth of goods and services via financing. If someone is facing consumer debt, the last things thought about is putting the money away to achieve financial freedom however a few simple strategy shifts can change the trajectory of their financial destiny. There are a million ways in order start walking on the path to complete financial freedom. Today I will cover some of the most researched strategies set out by some of the worlds greatest investors to help the average person achieve financial freedom. As employees and business owners we are already financial traders, trading money for our time which is simply the worst financial trade you can make long term because time is priceless. The most important decision use a portion of your earned income to make money while while sleep. The best way to do do so is to tap into the law of compounding. You can start small and over time the amounts will compound into large sums over time even with average returns. The key is to start while you're young and continue to make deposits over time. A word of caution, Banks, Mutual Funds and Hedge Funds are designed to take as much as the client can bare to part with. In order for them to to make a living, management fees are taken from your account and the fees outweigh the returns. You can reduce this by self directing. Questrade allows you so sign up online and build your own investing portfolio. You can and make regular deposits into your investment account via online banking or bill pay. The software is quick, efficient , paperless and can easily be accessed on your smart phone so you can invest on the go. When you start to earn money, immediately people tend to go into bill payment mode and have to spend 100% of their income leaving little to no room for savings. The concept of pay yourself first came from a financial adviser who told his clients that if the government were to raise taxes, people would complain but eventually they would adjust and pay the extra tax. By applying a personal tax on yourself to start saving you can start investing immediately. So the fist bill you pay should be to yourself in your financial freedom account and everything else comes after that. You have two options when setting up a pay yourself first system, you can speak to your HR department at work and get a second deposit account connected or you can set up automatic bill payments every month via online banking. You may start off with a small percentage of saving like 5% and gradually move towards at least 20% of every payment you receive. Having the luxury of cash gives you the opportunity do things like purchase a business for yourself, or property with an income suite to be able to live for fairly cheap. There is an example of a girl in new york who saved 70% of her income and was able to retire at the age of 28. You can check out her blog here. Deciding to become an owner and invest is the single greatest decision you can make as a young person because in investments time is the greatest asset. Alot of new investors get confused with what stocks to pick, often if they do not understand the market so they put it off until a later time or put their money in the hands of a bank. As it is said you can never beat the house, so you need to have a strategy of buying a piece of the house itself. The best way to do that would be by using an Exchange Traded Fund or ETF for short. Vanguard is a low fee ETF company that enables investors to buy indexes like the S&P500, top 500 public companies in America. Buy buying the market you do not have to spend countless hours analyzing individual companies. On average the SP500 has returned close to 10% annually over the last 100 years. Warren Buffet, has been very public in the recent years about buying low cost index funds instead of purchasing mutual funds or hedge funds . He advised his wifes trust to use vanguard index funds as the vehicle to buy the market. This is a bet that america will continue to grow and create profitable businesses. In the study above Each investor received $2,000 at the beginning of every year for the 20 years starting in 1992 and ending in 2012. They left the money in the market, as represented by the S&P 500® Index. 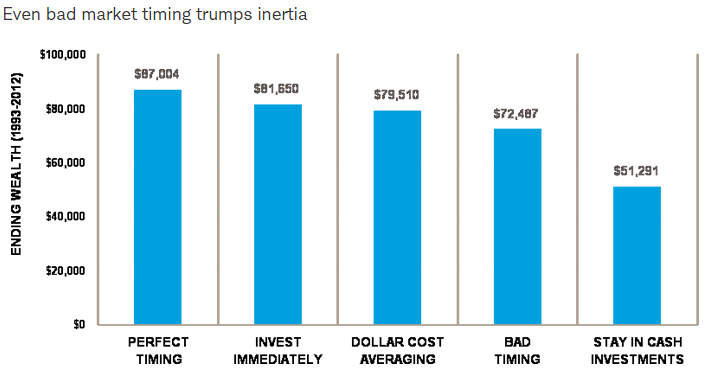 One of the common questions for investors is "is this the right time to invest? should I buy now or wait for a market crash to buy" The answer is simple, even the greatest investors in the world have no idea which direction the market is going to move so so its best to start right away and consistently make purchases of the market over long periods of time vs waiting for the right time. Cash has always been the worst performing asset because inflation makes the purchasing power of cash decrease each year. Peter Perfect was a perfect market timer. He had incredible skill (or luck) and was able to place his $2,000 into the market every year at the lowest monthly close. Ashley Action took a simple, consistent approach: Each year, once she received her cash, she invested her $2,000 in the market at the earliest possible moment. Matthew Monthly divided his annual $2,000 allotment into 12 equal portions, which he invested at the beginning of each month. This strategy is known as dollar cost averaging. Rosie Rotten had incredibly poor timing—or perhaps terribly bad luck: She invested her $2,000 each year at the market's peak, in stark defiance of the investing maxim to "buy low." 20 years later the one who held cash only was in the worst financial position, however the greatest surprise was that over the difference between the end results of the investor with the best timing, vs the investor who made monthly installments to his investment was only $9,000 which is still amost 40% greater than just holding cash. Follow these simple strategies and you will put yourself in the right path to financial freedom. See you there. 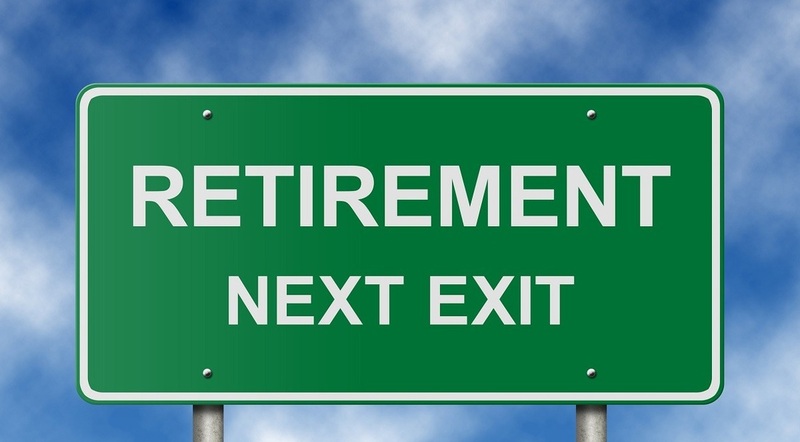 You work very hard throughout your career so that you can retire and lead a comfortable life, however alot of retirees quickly learn that they haven't saved enough and end up working to pay for basic living expenses. This is why its important so start early and grow a nest egg that you can rely on to fund retirement, as well as your dreams to travel, buy a home, start a new career etc. The earlier you start the process the better due to compound interest and compound returns. A Registered Retirement Savings Plan (RRSP) is an account, is a registered investment account with the federal government that you use to save for retirement and enjoy some benefits along the way. RRSP Contributions have various tax advantages compared to investing outside of tax-preferred accounts. Anyone who files an income tax return and has earned income (as an employee) can open and contribute to an RRSP. There are limits on how much you can contribute to an RRSP each year. You can contribute up to 18% of your earned income in the previous year or the maximum contribution amount for the current tax year. If you are a member of a pension plan, your pension adjustment will reduce the amount you can contribute to your RRSP. RRSP contributions can defer and potentially lower the amount of income tax you pay. This means you can enjoy immediate tax savings from your tax return. The greatest benefit is that your investments grow tax free in the investing years until you wish to withdraw capital. To be eligible for deduction in the previous tax year, your RRSP contribution must be paid before the end of the first 60 days of the current year. This year, the RRSP contribution deadline for the 2016 tax year is March 1st, 2017. In summary through RRSP investing, you will realize immediate tax benefits during the times that your income is generally highest (the working years). The total amount of your annual contribution can be deducted from your gross income at tax time, reducing the amount you pay in income tax that year. The income earned in your RRSP is not taxed until it is withdrawn. Once you stop working and want to withdraw the funds your annual income will be lower therefore you will be taxed in a lower bracket than in your earning years. Funds withdrawn at that time will benefit from the lower tax rate. There are also Special features of RRSPs that allow you to do further tax planning or use your RRSP to fund specific life events. When you hold stock or mutual funds in a non-registered account, you only have to pay taxes when you sell your investments. If you sell your investment at a profit, you must claim a capital gain; if you sell your investment at a loss, you can claim a capital loss. For registered account like RRSP, you don't have to worry about calculating the taxes for your gains or losses. The RRSP is also superior to the TFSA when it comes to holding international stocks. TFSA is not recognized by other countries as a registered account so you don't get the advantage of tax free dividends. Interest income is the least tax efficient income stream. Examples of interest income include savings accounts, terms deposits and bonds. You are fully taxed on any interest earned. Even if you roll over your interest, you must include it as taxable income on your returns. For that reason, consider holding interest income in a tax-sheltered account like your RRSP or TFSA to maximize your tax savings. A Self-directed RRSP is an RRSP account allows you to hold different types of investments consolidated within one single account. Some RRSP accounts only allow you to gold mutual funds, other RRSP accounts will only have GICs. Self-directed RRSPs give you more investment freedom and control. If you decide to claim some withdrawal from your RRSP, you can do it through Home Buyers’ Plan and Lifelong Learning Plan. The HBP allows you to borrow up to $25,000 from your RRSP to buy or build a home. To take advantage of the HBP you must be a first-time home buyer or haven’t owned a home in the last five years and you must repay the money within 15 years. You can also borrow from your RRSP to finance education for yourself or spouse through the Lifelong Learning Plan. The LLP allows you to borrow up to $10,000 a year, up to a total of $20,000. To participate in the program the student must be enrolled on a full-time basis in a qualified program. You’ll have 10 years to pay back the money without being taxed. Overall it is a major benefit to start saving in an RRSP if you would like to reduce your income tax and start building assets. This is one of the reasons why we work so hard other than to provide money for living. All the things we dream of doing, like traveling, buying a house, etc., usually require a lot of money, so you have to start saving right away. If you want to become a millionaire when you retire, you have to think about how much time you need to do that and what should be your initial capital. It does not matter if you are 20 or 40 years old, it is important that you have to start somewhere. And even if it could sound surprisingly for you – you can do it if you start with $ 10,000. This is possible because you are going to use your 7% solution, which means that you assume 7% inflation, like this is the risk that you are willing to take if you were trading with stocks, and start living with the means that you will have left after that. Of course, there will be obstacles and bumps along your road of saving, but you should not give up. It is not really so important where you are going to invest your money, because there is more then one variant, but to stay disciplined in doing that. You have to be constant in your actions if you want to succeed. And you have to be realistic about how much you can achieve and be honest before yourself. 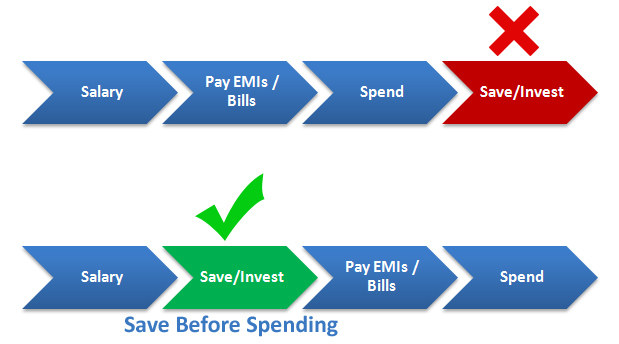 Saving money requires a lot of time and discipline. But if you start at the age of 25, when you reach 65 you can retire as a millionaire. For these 40 years you have so much time and so many bills to pay, like collage, vocations, stuff for you and you family and a lot of people put off their savings for the future. So what is the main idea? then at the age of 65 you will have one million. ​Of course this is not an easy job to be done, so if you want to have the money for this investment, you really need to work on your career. You can count on your company` s RRSP/401 (k) plan, and if you do not have one, then open a TFSA, RRSP, or Roth IRA as long as you qualify for that. Every ten years your money doubles. So instead of $320, now you are expecting savings for $775 every month. It is good if you have your RRSP/401 (k) plan, so you do not have to dip into your pockets for the whole amount. At that time you will probably have a young family and little children. In such a way you can show them that it is possible to make money and to save at the same time. When you teach your children, you are also teaching yourself. At that age you will probably have a house and you will have a good job with good salary, which is important, because you need to put into your account $1850 every month if you want to reach one million within 20 years. So many people do not have the proper amount in their retirement saving, so this is the chance to get out of the situation. You have waited so far so the amount that you need is $5700 every month with a base of $10,000. So you have lived quite well, you have possessions, but no savings. There is your moment of truth and how you need to change – start working longer, cut down expenses and save whatever you can. So think carefully how you are going to proceed from now on. How Ted Johnson, Ex-UPS Employee Banked $70 MillionAbout the author: Sam Kakembo is an international investor, entrepreneur, and known as one of the most sought after Branding, Lifestyle Design, and Real Estate Re-developers in the online business community. He is an expert in creating wildly profitable online promotions that also skyrocket brand loyalty and good will without being obnoxious or even remotely "salesy". His e-letter and crash course is about using the experiences from his life and network to help you achieve more freedom. Your credit history is an important part of your future – it can open doors for you or keep them locked. Decisions including approvals for loans and mortgage or rental applications may be affected by your credit history. www.equifax.ca to complete and mail Equifax's Credit Report Request form. Equifax requires a written credit report request including your name, address, date of birth and Social Insurance Number (optional). Please also include photocopies of two forms of identification (both sides) and remember to sign your request. TransUnion requires a written credit report request including your name, address, previous address (if present address is less than five years), phone number (optional), date of birth, place of employment (optional), and Social Insurance Number (optional). 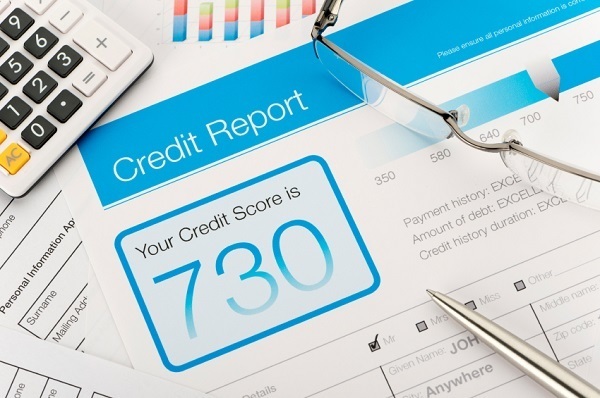 If more than one member of your household is requesting their credit report, each separate request must contain all of the above information. Always pay bills on time and make at least the minimum payment. Set aside a portion of your available credit for emergencies like car repairs or unplanned medical costs. Make note of your spending habits to identify patterns and then create a budget, making adjustments when necessary and tightening your expenditures wherever possible. Drastically reduce your card usage. Leave your card at home or put it in a different place in your wallet as a reminder not to use it. Revise your current budget and make credit payments a higher priority. Cut down on other expenses. Make at least the minimum payment each month and set up a firm timetable to pay off your debt. Contact your creditors. They'll want to work with you and together you should be able to figure out a realistic payment schedule. ​On Episode 5 we discuss buying vs renting your home on #MoneyMakingMonday. Housing market conditions are local. The buy to rent ratio is important, & buying is typically more favorable for long term residents. Consider: Maintenance, Renovations, Property Tax, Insurance. On Episode 4 How to save a million dollars and control your financial destiny on #MoneyMakingMonday. your savings will be over $ 1,132,000 in 30 years!!! ​On Episode 3, How to automate your finances & save time on #MoneyMakingMonday. On Episode 2, we talk about How to increase your income on #MoneyMakingMonday.